These delightful bar stool was influenced by the industrial age. 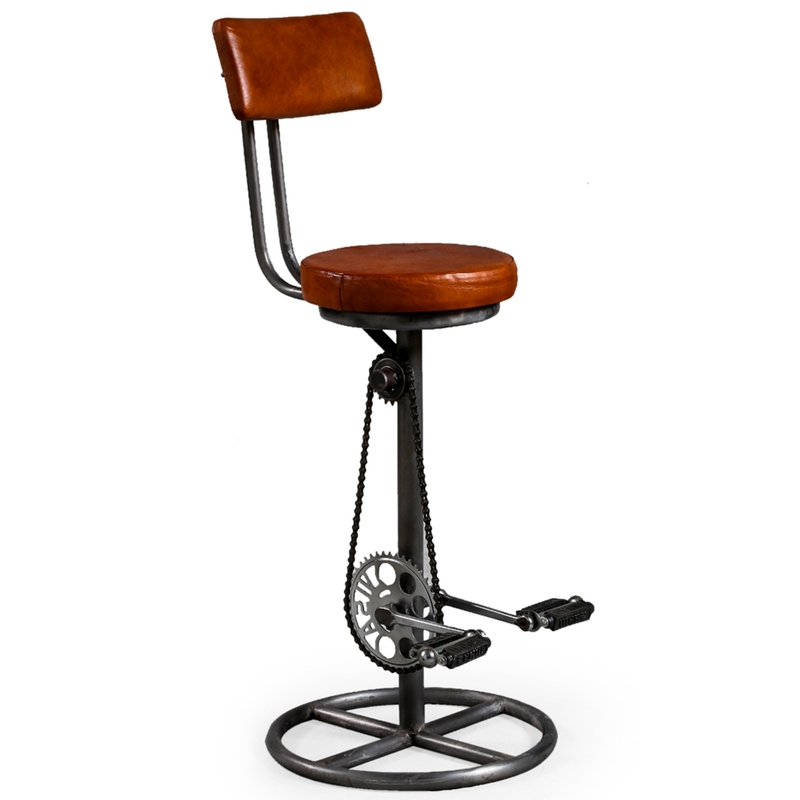 From our collection of new industrial furniture comes this stylish and practical bar stool with back rest. Featuring a unique and stunning bicycle designed base and crafted from leather and Iron, this bat stool is perfect to add a touch of industriasl style in your home today.